Positive thoughts are the secret to maintaining a positive attitude and with a positive attitude you can achieve any goal you set for your life. Throughout this article you will learn just how powerful it is to maintain positive thoughts and feelings and how to overcome the negative thoughts before they ever have a chance to take root. I think it’s fair to say that we all want to achieve some level of success in our lives. Achieving such a goal is not as difficult as most tend to believe. The previous statement alone says a lot about your ability to achieve success. Your success or failure will always relate back to your beliefs and your beliefs will be directed by your mental attitude. 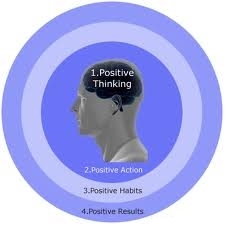 Maintaining positive thoughts and a pattern of consistent positive thinking will strengthen the belief you have in yourself to achieve the goals that will lead to your overall success in life. If you can learn the skills to help you maintain positive thoughts and feelings you will find that overcoming negative thoughts and self-destructive thinking patterns will become less and less of a challenge. This article will help you to better understand how your mind works and it will give you some specific tools you can use to maintain positive thoughts everyday of your life. Your mind is really not much different from your body. If you feed your body garbage you will in turn damage your health. If you fill your mind with garbage you will damage your mental health. Negative thoughts, negative results! Positive Thoughts, positive results, there really is no away around this. Control your thoughts and you control the outcomes in your life! Developing The skills to maintain a pattern of positive thinking and then using your positive thoughts and feelings to achieve all you have ever dreamed of can be your reality if you put into practice the helpful tips you will find in this article and throughout the entire site. We all have dominion over our body and that includes your mind. If you can cause your physical health to break down what do you think you can do to your mental health? Consider some of the great athletes, they maintain their health with the proper nutrition and physical conditioning and this leads to the success of their athletic prowess. Although physical conditioning is only half the equation. A dedicated athlete works just as hard to maintain their mental health by constantly feeding their mind with positive thoughts. It’s a simple analogy to remember, feed your body with good nutrition and feed your mind with positive thoughts and feelings. If you treat your mind and body in this manner you will achieve greater heights of success. Let your positive thoughts take you to new heights of success for if you believe that you can and you expect that you will failure will not be an option! Phrases such as “We are the masters of our own destiny” and “We are the bringer of our own fate” are also familiar to most, but they have remained very much in the abstract, all a little bit ‘airy fairy’, due to the relative impossibility to physically see the effects that our thoughts have on our lives. Again to achieve success you must feed your mind with positive thoughts and feelings as anything less will only deliver negative results. There are many people who would argue the fact that you can improve your health both physically and mentally by the dominant thoughts you hold in your mind and until recent years it was scientifically hard to prove. However due to advances in the fields of medicine and quantum physics we can now show that positive thoughts and feelings affect your DNA in one way while negative thoughts and emotions affect it in another and these results are measurable. An esteemed scientist, Doc Childre formed what is called the HeartMath Method which in essence is a way of accessing your inner intelligence directly associated with the heart. An experiment was undertaken recently, by the HeartMath Institute, that looked at how DNA responded to those that concentrated their mind on positive thoughts and feelings and alternatively negative thoughts, feelings of anger and stress. When feelings of anger or stress were directed at the DNA, the DNA tightened and emitted photons of light. When positive thoughts and feelings of love or peace were directed at the DNA, the DNA opened or unwound and attracted light to it. 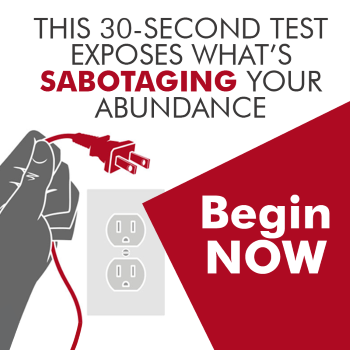 The results of the experiment clearly demonstrated that how you feel effects the life and energy that surrounds you. By being more positive and relaxed, the more open and responsive those surrounding you will be. Maintaining Positive Thoughts Is Crucial For Achieving Success! I have only touched upon the methods of testing involved the three decades of study and research into the positive affects associated with the HeartMath System but the findings are sound and they correspond with my own personal belief’s in the overall power of positive thinking. The facts are indisputable by accessing the magnificent, intelligent power of your own heart you can eliminate stress, facilitate change, infuse yourself and others with a renewed sense of hope and empower yourself to live life to its fullest potential. Therefore, you should adopt a positive, can-do attitude at all times, from the moment you wake-up, until the moment that you go to sleep. Positive thoughts help maintain a positive attitude and the two combined can help you string one success after another. Developing a pattern of positive thinking will help to strengthen the belief you have in your personal abilities to go after what it is you really want out of life. You are a winner and a winner will achieve more success in life that one who just goes about his day in haste just wanting to get through it without any effort to do anymore than what is expected of him or her. By living like that, you can expect life to be more positive to you in return, and that continued positivity will quickly translate itself into success. So I ask you; is it possible to achieve success by maintaining positive thoughts and feelings? You bet it is! Positive thoughts and feelings help to foster the personal belief you must have in yourself. Hello Naveen, I plan to be adding some new articles over the coming weeks so I hope that you stop back often. I am glad to be back! Progress is a little slow due to all the interruptions. I will keep you posted. Great to have to here! I am happy to see you back and updating the comments on the site. Re: The project about success I would like to find out where the project is up to? also I think that the book about your life would be a big inspiration to all of us. Thank you for visiting and for your comment. I am happy to see that you can realize the value in the techniques that I share on this site. I have lived my life based on these values and it has always served me well and it will do the same for anyone and everyone if they just give it a chance. What a great way to live! one’s life could only be improved by employing these mental techniques! It is always so nice to hear from you. I did reply to your email you sent so I hope that you received that okay. You might be happy to hear that I am working on a project about success that I hope to have out soon, it will be a three part series and it covers all aspects of success and the steps one may take to achieve it. Thanks for visiting Jeff and I am glad to hear that you found some value in the article. I have been working on updating some of the older articles on the site as well as adding new ones so you will always find fresh content to read plus I invite all requests if you or any of my readers would like for me to write on a specific topic. I have been working on a new program I will be releasing soon which will be a three part series on what it takes to achieve success in all areas of your life. I really appreciate your post. You open my mind I struggle with keeping my mind focused on positive thoughts but you have given me alot to think about and work with and I really thank you for that. I will bookmark this post and pay attention for additional updates. Also Ill check back to see what others are saying regarding this post. Thank you once again. I am happy to see you updating your website this site has help me a lot and hope other people get the help from this site as well. My life is getting better and better I some times have an emotional hard day but I am much better then I use to be and I see that through work you can get yourself out of this negative thinking pattern. My next big step will be getting financial freedom as this is a big stress-er on me I don’t know how I will get there but by having this goal and a positive attitude I am sure I will get there.